When we came up with the idea of a trip in China, Yunnan was the first destination in our minds. We had this picture of a green and mountainous region with delicious food and picturesque villages. And this is exactly what we discovered -except even better. From Kunming to Shangri La, our 10 days trip in Yunnan took us into the China of our dreams -made of authentic places, people dancing on the village square, tuk tuk rides up the mountains and snowy peaks. We only saw a small part of the region, there's still plenty to discover. If you ask me what made our trip in Yunnan so wonderful, I won't be able to answer with a straight answer. 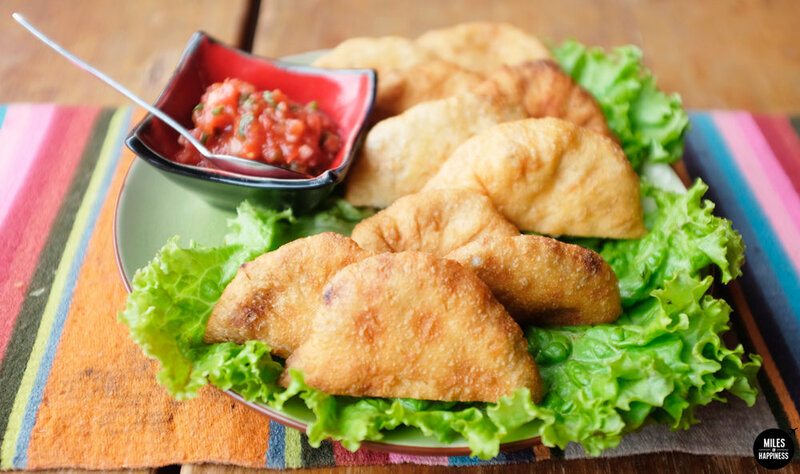 There are so many reasons, going from the adventure feel to the amaaazing local food. See for yourself below, discover 10 things that will make you pack & go traveling in Yunnan... right now! The Yunnan food is known as one of the best cuisine in China*. Given the geographical situation of the region, it's a mix between Chinese, Vietnamese and Tibetan food. It's very green and fresh, nothing like the Chinese food you would eat in a typical Chinese restaurant in Europe. Fresh veggies, yak cheese dumplings (which reminded me a bit of the Nepalese momos! ), fresh herbs, spicy homemade noodles -there's so much to discover! In the mountains, you'll experience the local yak butter tea, which is a Tibetan remedy to resist cold temperatures. One of my best memories is in Weishan, when we ate this local lunch from a lady who was cooking on the street. It was basically a bowl of noodles, in which she added some veggies and looots of spices. Absolutely delicious -for less than a dollar! We ate sitting on tiny plastic tools next to her, observed by the locals who apparently weren't used to tourists eating local. Every meal was a feast -or at least, most of them. The only place we had trouble finding food was in Shangri La, because most restaurants were closed after 2pm. We walked for hours to find a decent place, and ended up with a delicious hot pot. Again, the chef was watching us to see how we'd respond to the spices! I'm not talking about Lijiang here -since it's in the Unesco Heritage list, this village became crowded with tourists. Don't get me wrong, it's still lovely, but TOO lovely -too clean, too renovated, too "perfect". You'd better explore it early in the morning, when shops are closed and tourists asleep, that's when you'll find the essence of the village -and probably love it. 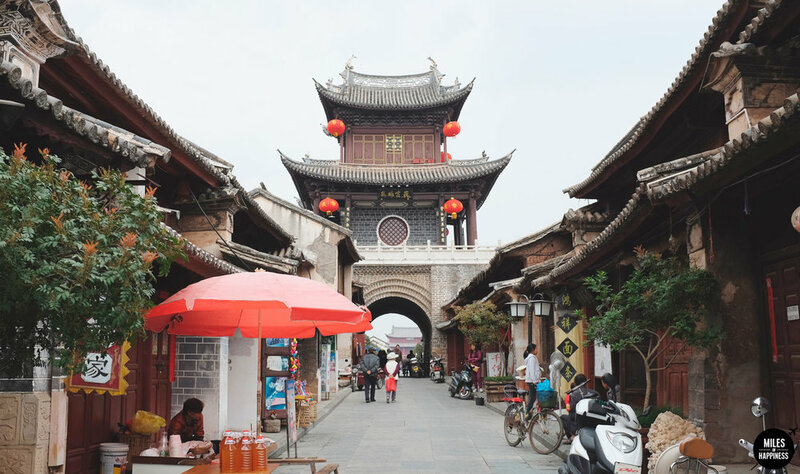 When I talk about picturesque Yunnan villages, I'm thinking about that day trip in Weishan... We got lost in a little town where nobody could understand us, where we didn't cross any westerners, and felt like exploring the Old China. Houses are so ancient it looks like they could fall apart anytime. The architecture made us feel like walking in an old movie set. And it's all real! At the end of the day, we REALLY got lost, ending up walking for hours, taking tuk tuk after tuk tuk and catching our bus at the very last minute. You want an adventure? You're off for a unique one here! Shangri La was also a beautiful discovery. The streets are still broken since the massive 2014 fire. But the charm survived -you'll find yourself in tiny streets that come from an other world! As I said, ten days is short for a trip in Yunnan, so we couldn't see everything we wanted. Apparently Shaxi is also a gorgeous village to visit, as well as Jianshui, Cizhong and Tuanshan. Since I live in Hong Kong, I hear a lot of racism against Chinese people -racism is a common thing here between Hongkongers and mainlanders. Some people don't make the difference between a bus of noisy and annoying Chinese tourists with their selfie sticks (by the way, buses of French tourists are VERY noisy and annoying too. Any buses of tourists are annoying), the mainlanders living in Hong Kong and the local communities in China. Have you seen the size of the country? Yunnan is half the size of France! So of course, there are thousands of cultures and traditions within the Chinese territory. From Kunming to Shangri La, we discovered many different cultures. City people in Kunming, Yunnan's Muslims in Haba (we even saw a Chinese mosque! ), Tibetans in Shangri La... Naturally, the more remote you go, the harder it gets to communicate. Traveling to Yunnan is fascinating. There aren't many places where you feel that remote from your daily world. People are happy to share their world with travelers. In Shangri La, every night, the villagers dance on the village square. They kindly invited us to join them -as you can imagine, our dance was a disaster. Did you know Tibetan people are AMAZING dancers? After Kunming, our first stop was Dali. This beautiful little town is known for its three perfectly shaped pagodas situated on a scenic location, at the foot of Mt Cangshan. They are famous for their size, beauty and antiquity -the central one is more than 1.100 years old and is the tallest pagoda in China. We are in another dimension here. Everything is majestic. Coming from Hong Kong and its tiny busy streets, all this space really is impressive. And the view breathtaking. A beautiful walk will take you from the entrance of the Three Pagodas to the top. We took our time and explored every little temple on the way. The whole visit is captivating. Go on a sunny day if you want to get panoramic views on Erhai Lake. Almost 4 years in Hong Kong now and I still don't speak much Cantonese -people speak good English here and they don't have time to lose trying to teach you. After 3 days in Yunnan, I had already caught a few Mandarin words! You can imagine how proud I was when I asked for the restroom to an old lady in Mandarin, and she smiled at me (I was expecting a big laugh that'd say "nice try but I don't understand your language") and showed me the restroom. VICTORYYY! Every little thing is a challenge when you travel in Yunnan. For a start, let's say you want to take the bus. Try to find the bus station with the right stop, on the right direction, explain to bus driver where you're going, stop at the right stop. Pay the right amount... A piece of advice? Don't be tight on schedule, always take enough buffer to get lost because you will, and that's what makes the trip interesting! That's when you meet people and discover unexpected places. When we took the wrong bus in Lijiang and got completely lost, a young couple came to our rescue despite the fact that we didn't speak the same language. With a map and a translation app, we got acquainted, and they decided to accompany us to our bus station even though it wasn't on their road and wait for the bus with us, to be sure we'd get on the right one. How nice is that!? In the mountains, it was surprisingly less adventurous, because the Tiger Leaping Gorges trek is so popular, we met lots of tourists (damn French people everywhere!). The biggest frustration? When you go trekking in the middle of China and find a wifi connection on the tea house. The most adventurous moments during our trip in Yunnan were when we took public transports. Hiring a private driver might seem more comfortable, but believe me, taking the bus with the locals is much more fun! Also, you can't go in Shangri La and not try the yak butter tea. 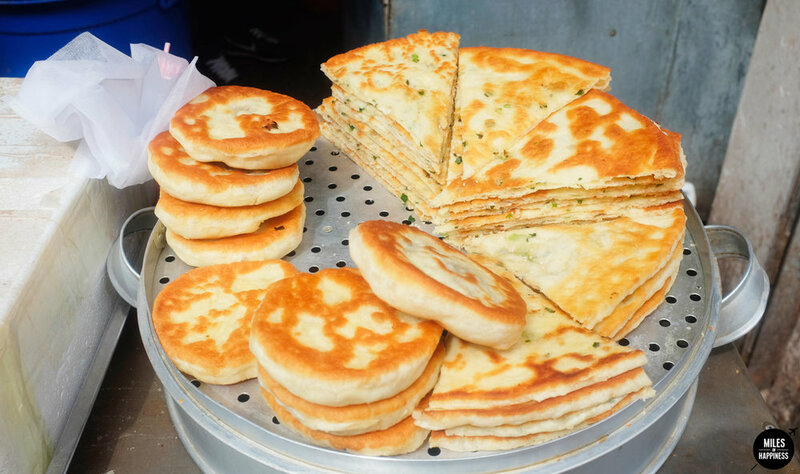 I know it sounds fat -and it is!-, but it's a must in Yunnan! To be honest, we tried only for the experience, and ended up loving it... So you never know, you might like it too! #8. mythical songzanlin monastery, "the little potala"
I loved the idea of starting from South Yunnan and going all the way up to finish with the highlight, one of the places I've dreamed to see: Shangri La's mythical Songzanlin Monastery. It's the largest Tibetan Buddhist monastery in Yunnan, known as "the little Potala" because of its ressemblance with the Palace in Lhasa. When we entered in the monastery, it really felt like stepping into Tibet. It's more a village than a monastery, really. You can walk around the streets, visit the temples, the praying rooms, explore around the lake... The atmosphere is peaceful, and the serenity is beautified by the surrounding mountains. I won't spoil it with too many pictures, I'll let you discover it by yourself. You don't want to rush it, so plan at least half a day to be able to take your time and enjoy every minute of it. There's a lot to see, you'll want to explore every corner of the monastery. We spent 3 days trekking the Tiger Leaping Gorges in the pristine Three Parallel River National Park, at Tibet's doors. It was absolutely breathtaking. There are tons of trekking opportunities in Yunnan, from one day hikes to 10 days treks. You'd be amazed by the beauty of the mountains. Wonders never cease in Yunnan! We saw a lot of beautiful temples all along our Yunnan trip, in Dali, Lijiang, Weishan -in every villages we explored. But the ones that amazed us the most where hidden into the wild. Weiboshan National Park is a sacred mountainous area near Weishan that hides some incredible gems. A walk through a gigantic forest took us to remote Taoiste temples. When we got there, two old women welcomed us in their haven of peace and offered us some tea. Everything was so quiet and slow there -like if time had stopped. It was just the two of us with them, in this tiny temple. Extraordinary. Then comes the fabulous, hidden Dabao temple, in Shangri La County. A place no words can describe. A short hike takes you up the hill. You'll cross some prayer wheels and colorful prayer flags on the way up. Then you'll start to smell the incense -strong, intense. The sunlight pierces through the smoke and the trees. Mystical. At the foot of the hill where Dabao temple is situated, our guide showed us a magical spring... It's said to be the reincarnation of Bhodisattva Maniusri, who is regarded as the symbol of wisdom in Buddhism. The water has been endowed with magic power! Sign up, get inspired, pack your bags.